Quick Update – Graveyard Lore Contest! It’s been too long since we did a contest, hasn’t it? But we have a great one up and going, because we want to feature your some of your local lore from your local graveyards! In October, Laine and Cory will be discussing the ways that graveyards factor into both supernatural beliefs and magical practices, and we thought it would be fun to have you all share your graveyard stories with us! And if you do send something in, you will be entered to win one of two prizes, too! Patreon – Do you already sponsor us on Patreon? Great! You’re in! Anyone who sponsors us at any level by the closing date gets at least one (1) entry into the contest. Subscribe to our YouTube Channel – We’ll pull a list of all subscribers on the last day of the contest, and if you’re subscribing to us (make sure we can see a user name of some kind), we’ll add your name to our sorting hat! Share Your Favorite New World Witchery – Share one of our articles, videos, or episodes somewhere on social media and tag us! We’re on Twitter, Facebook, Instagram, and YouTube, so you have lots to choose from. When you tag us and share your favorite piece of New World Witchery, we’ll add you to the drawing as well! The Wild Magic Pack – This pack features a copy of Aidan Wachter’s excellent new book Six Ways: Entries and Approaches for Practical Magic, a poster print of the poem “Sometimes a Wild God” written by Tom Hirons and illustrated by Rima Staines, a bottle of Conjured Cardea’s Abre Camino road-opening oil, and some bits and bonuses thrown in by us as well. The Hills and Hollers Pack – This is a mountain magic based pack featuring Appalachian Folklore by Nancy Richmond and Misty Murray Walker, the first two volumes of Cullen Bunn’s chilling Harrow County graphic novel series, a book of mountain holiday lore called A Foxfire Christmas by Bobby Anne Starnes, and a bottle of our own Compass & Key Black Cat Oil (for luck and other good things to come your way). Winners will be chosen at random from the total list of names we compile at the end of the contest, and prize packs will be selected randomly for the winners. The contest will close at midnight on September 1st, 2018, so get your entries in ASAP! We hope you’re already thinking about the chilly days of autumn and picturing yourself among the gravestones, and we can’t wait to hear from you! Comments: Comments Off on Quick Update – Graveyard Lore Contest! We move across the state of Tennessee in this episode, discussing hoodoo in Memphis, the magical scene in Nashville, and hearing stories of the Bell Witch and a hexed gun along the way. Producers for this show: Corvus, Diana Garino, Renee Odders, Ye Olde Magic Shoppe, Raven Dark Moon, The Witches View Podcast, Sarah, Molly, Corvus, Catherine, AthenaBeth, Jen Rue of Rue & Hyssop, Little Wren, Jessica, Victoria, Daniel, Johnathan at the ModernSouthernPolytheist, Montine, Achija of Spellbound Bookbinding, and Hazel (if we missed you this episode, we’ll make sure you’re in the next one!). Big thanks to everyone supporting us! If you enjoy this episode, you might like some of our other “travel” episodes, such as the ones on Salem, Pennsylvania, New Orleans, Memphis, and Appalachia. You can check out Tony Kail’s book, A Secret History of Memphis Hoodoo: Rootworkers, Conjurers, and Spirituals and find out more about his work on the Memphis Hoodoo website. Rebecca Petersen runs the store Draconis Arcanum in Nashville. The account of the Bell Witch you heard is taken from Tennessee: A Guide to the State, produced by the Works Project Administration. The story of “Billy Jesse and the Witched Gun” comes from the book Foxfire 2. I realize that my previous post promised a bit more exploration of the potential shape of a “New World Witchery” sort of practice, but during the drafting of that post, Ilvermorny was unveiled. I’ll get to what that means in a moment, but I wanted to just take a moment to say I am still working on the other post, and that this one may actually tie nicely into the longer discussion of New World magic (albeit from a more literary stance). I also want to note that there are most definitely *spoilers ahead* so consider this your chance to stop reading if you aren’t already somewhat familiar with what Ilvermorny is. Platform 9 & 3/4 Sign, Kings Cross Station, London. Picture taken by fr:Steff via Wikimedia Commons. If you have managed to see the light of day at any point in the past two decades, you are probably familiar with the world of Harry Potter. Created by J.K. Rowling, the Potterverse (as all the collective official materials of the Harry Potter fictional fandom are known) has historically centered on the adventures of Harry, “The Boy Who Lived,” and his struggles against Voldemort (a.k.a. Tom Riddle), an evil and megalomaniacal wizard bent on the purge of all “impure” wizarding families and the subjugation of Muggles (as non-magical folk are known). The places most familiar to those who have read the seven primary tomes of the Potter series (and now, the eighth installment, which is actually a stage play called Harry Potter & the Cursed Child, but which even in its dramatological format has still sold more than two million copies during its first few days of release) are generally located in the United Kingdom: Platform 9 ¾, found at King’s Cross Station in the London Underground; the wizard-and-witch shopping mecca of Diagon Alley, hidden behind the Leaky Cauldron, both also in London; and, of course, Hogwarts School of Witchcraft & Wizardry, located in and about Scotland, where Harry and his friends learn their trade along with hundreds of other students (I emphasize the number for reasons that I hope will be clear soon enough). Pottermania has permeated literary and popular culture for well over a decade now, and Rowling’s most recent endeavors in her magical world make it clear that the Potterverse is not going to remain stagnant, but expand even further. Photo of Mt. Greylock, MA, by By Ericshawwhite via Wikimedia Commons. Mt. Greylock is the home of Rowling’s Ilvermorny school. Most recently, it has expanded with some detail into North America. Rowling wrote a short story that tells the history of the founding of the North American school of magic, known as Ilvermorny, in Massachussetts during the seventeenth century. I won’t do a complete recap of the events, as I encourage you to read it for yourself (it’s less than an hour’s read, really), but the gist of the tale is that an Irish witch descended from the Slytherin line named Isolt Sayre fled the Old World with the Pilgrims on the Mayflower, and then high-tailed it into the woods to the west and eventually formed a magical family, adopting two boys (the Boot brothers) and marrying a kindly Muggle (or “No-Maj” as we apparently call non-magical people in North America, in a blinding fit of banality) named James Steward. Isolt befriends a number of North American mythical beasts and cryptids, including a river spirit in the form of a Horned Serpent and a pukwudgie whom she calls William. When she begins instructing other magical folk (including the local Native populations, mostly of the Wampanoag people), she establishes the school that eventually becomes Ilvermorny. At a very basic level, the Ilvermorny story is a pleasant addition to the young-adult fictional world of Rowling’s imagination. Characters—despite not having much space in the narrative—generally have readily accessible personalities and even get a bit of development here and there. Rowling tries very hard to recreate the magic of Hogwarts in Massachussets, and at times, she gets pretty close to doing so, in my opinion. Given the heavy use of British and broadly European folklore and myth in the Potter series, however, her approach to North American lore and legend is strangely off-kilter. I can only really speak for North American cultural materials from the United States, here, but I imagine that Canadian and Mexican readers might also feel there is something “off” about the Ilvermorny tale. Below I will outline some of the key issues I found when reading Rowling’s backstory. 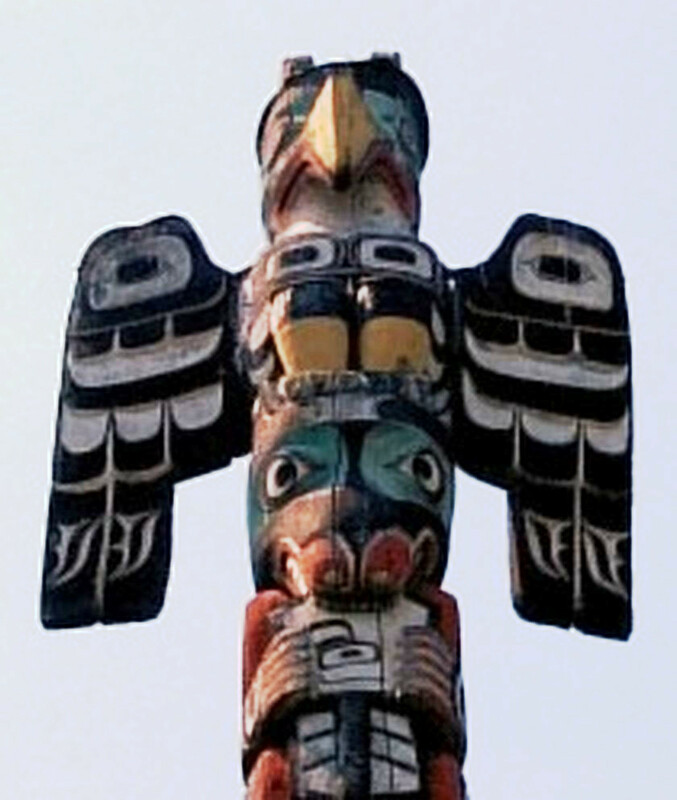 Thunderbird on Totem Pole By Dr Haggis via Wikimedia Commons. The Thunderbird is one of the four house creatures for the Ilvermorny school. Taken *mostly* from North American folklore and legend, the house creatures are essentially mascots for their houses. Yes, each of the houses at Hogwarts has a creature associated with it, but the creature is fundamentally linked to the founder—Gryffindor is a Griffin because a Griffin represents Godric Griffindor (and there’s a whole book about the “heir of Slytherin” and the relationship to snakes through his line). The beasts in Ilvermorny actually work better as mascots because the founders remain nominally distant from their houses (Rowling’s account of the naming of the houses makes it sound like an affable after-dinner conversation). In an American secondary education environment, however, you don’t have four mascots at one school. You have four schools, with four different mascots. I will return to that concept momentarily, but first we must discuss the mascots themselves. The beasts are an odd mishmash of the North American legendary landscape. All of them are at least loosely linked to Native American or Amerinidian legends of one kind or another, but are lumped together in such a way that they don’t suggest the distinct or distinguishable Native tribes whence they come. Pukwudgies, for example, would be primarily associated with areas under the Northeastern portion of the Algonquin-speaking America—largely New England, where much of the Ilvermorny story takes place. So far, so good, right? There are similar creatures depicted in other areas—the Cherokee have legends about “Little People,” and the Cree tell tales of the Mannegishi, who are a lot like Pukwudgies (Mooney 335). Choosing to call them Pukwudgies links them to a region, however, and complicates things, because then Rowling introduces the idea of the”Horned Serpent,” a much more generic term for a figure found in various forms throughout the Plains, Lakes, and Southeastern American regions, as well as having some cousins in the “plumed serpents” of the Southwestern and Central American zones. Why make one specific, and one generic? Why not settle on a specific term, like Uktena or Mishi Kenepikwa to attach it to a region or tribal affiliation in some way, the way she did with Pukwudgie? Thunderbirds are similarly broad, although at least potentially more connected to the region in which Ilvermorny is founded (although not massively so, as they feature much more prominently in regions much further west) (Cohen 92-4; Erdoes & Ortiz 218-22). Perhaps the most confusing is the Wampus Cat, which is usually limited to the Southeast and occasionally Deep South (Mooney 324; Schlosser 92-8). Again, its name is potentially generic, but folklorically it has almost no connection to the area of Massachussets where Ilvermorny is located. By author unknown [Public domain], via Wikimedia Commons. 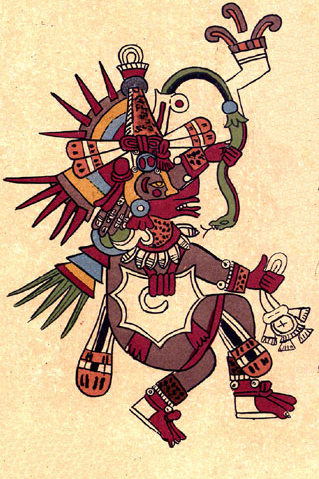 Quetzocoatl, an example of a “plumed serpent” figure. Let’s think about some numbers. We’ll start with Hogwarts. Based on what we’ve read in the Harry Potter book series, we can estimate an average of of 10 new students per house per year for 7 years = 280 students at any given time. The U.K. population is around 65 million, which means that about .000004 percent of people in the United Kingdom are likely to be selected for Hogwarts (and I am assuming that Hogwarts is the only place young wizards and witches are educated in the U.K., so that number is the high end estimate of new witches & wizards per year). To compare, the U.S. population is around 320 million, nearly five times the size of the United Kingdom, spread out over an area roughly forty times as large. If we assume that wizarding populations are roughly the same worldwide (as one astute listener pointed out, that idea is canon from the Pottermore site), then using approximate statistics, there should be at least 1,000 young wizards and witches per year (closer to 1,300-1,400, really) for the U.S. population. Enough to fill four or five schools, that is. Ilvermorny is a very British way of doing things, and is very out-of-joint with the American people and landscape. There’s something very Colonial and Imperialist about the way Ilvermorny is portrayed, with its founder instructing the local Natives in magic (although to her credit, Rowling does make the education more of a magical exchange; most of the magic in the story, however, is the wand-waving type, and so European magic seems to be the most prominent and dominant form). Rowling seems to be trying to create a unified and cohesive narrative about American magic, and in some places she succeeds: the idea of the Magical Congress is very sharply perceived, as is the effort to avoid an aristocracy of houses and the inclusion of a Muggle-founded house. Her efforts to concentrate everything into one time and place, and her seeming lack of understanding of American historical movements and regional interactions, undercut the story she tells, however. It’s just sloppy to dump every possible magical being from Wampus Cats and Hodags to Jackalopes and even the Snallygaster into one place, especially without giving any context. She could just as easily have started bringing in Bigfoot or Little Green Men as a part of the Potterverse, since both creatures also have antecedents in Native lore, and are perhaps as disharmonious in her setting as some of the cryptids she does include. My own reading of the situation tells me that Rowling would have been much better off dividing the school into the four mascots, and then having each mascot represent a different regional school. Ilvermorny could have been the Pukwudgie school of New England and potentially parts of the Mid-Atlantic. The Wampus Cat would then have been representative of the South (possibly started by a maroon/runaway slave community—although it would also be lovely to imagine such a school represented by the Loup Garou in Louisiana). The Thunderbird would have made much more sense somewhere in the Western Plains, the Pacific Northwest, or California. And the Horned Serpent could have represented either the Middle West and Great Lakes region effectively, or been a more “plumed serpent” creature in the Southwest. 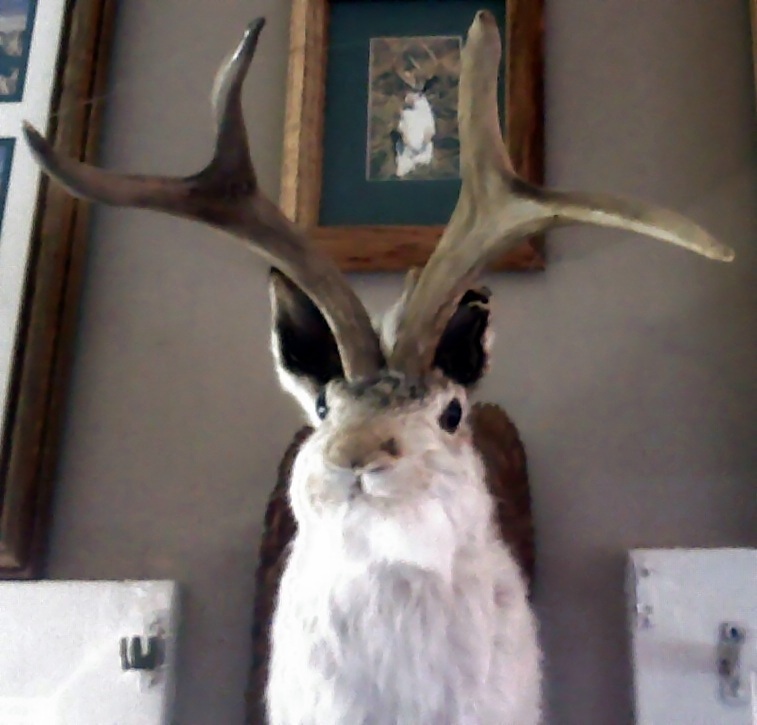 Alternatively, a fifth school would have been a good thing to add, maybe including a Jackalope to represent quick-wittedness and a bright intellect with a bit of a mischievous streak in the West or upper Southwest. Rowling’s Potterverse accounts for “skinwalkers” as a type of shapeshifting Animagus slandered by charlatan “No-Maj medicine men,” so perhaps even a school founded by such an Animagi would be appropriate—particularly as it would show the magical agency of Native sorcerors in founding their own school. A fifth school division would work because the numbers for the wizarding school in the UK—Hogwarts—are roughly one-fifth of the projected numbers in the United States (and this is not even touching Canada or Mexico, which might well have their own schools—I could easily envision one by a lake in British Columbia where Ogopogo lurked in the waters much as other mythic creatures do in the lake by Hogwarts, for example) (Cohen 136-41). These schools would likely have been founded by different witches and wizards over time and during the expansion of American westward migration, and so they would not all tie up into quite so neat a package as the Ilvermorny tale or the Hogwarts history, but America is big and messy and complicated. Yes, it would have meant a less complete story for Ilvermorny. But it would also have meant room for more expansion later. Since Ilvermorny is repeatedly described as the Great North American School of Witchcraft & Wizardry, we are left to assume that it is likely the only one. Considering we are a competitive, diverse, and geographically expansive society, any school attempting to be the sole proprietor of magical knowledge on the continent is unlikely to succeed. As historian Daniel Boorstin notes, “There has never been an effective American movement for a national university. The numerous and diverse American colleges, separated by vast distances, never formed a self-conscious community of learned men”(and women, I would add) (180). Boorstin is obviously discussing higher education, but the principle of spatial separation and scholastic individualism is mirrored in secondary education, too. We just don’t do an Oxford or a Cambridge here—we prefer numerous schools representing regional identities, and that’s something the Ilvermorny story misses. Rowling has a big imagination, and this is all fiction and her universe; she can do as she pleases. From where I sit, though, it seems she has not been able to imagine just how big and diverse America can be in its landscape, peoples, and lore. I’d like to note that Peter Muise of the New England Folklore blog has also tackled this topic, much more succinctly than I have here, and I highly recommend you check out his take on the subject. Also, Laine & I discussed this topic extensively on our latest episode. And, of course, this is really all just for fun anyway. While I’ve obviously taken a bit of (wait for it) Umbridge at certain folkloric pieces of Rowling’s story, really it’s just there to entertain us and she seems to do that pretty well. Plus, it gives us a place to work from when discussing things we should expect to find in New World magical practices (such as diverse forms spread over a wide set of regions, with a combination of widespread and geographically particular spirits/creatures to explore). I write what I do here with fondness for Rowling’s work (and let’s face it, she doesn’t need my approval for anything! ), and in the hopes that her story might inspire deeper reading for those who are interested in American folklore. Boorstin, Daniel J. The Americans: The Colonial Experience (Random House, 1964). —. A Treasury of Southern Folklore (Crown Publishers, 1949). —. A Treasury of Western Folklore (Crown Publishers, 1951). Bronner, Simon J. Campus Traditions (Univ. Press of Mississippi, 2012). Brunvand, Jan, ed. American Folklore: An Encyclopedia (Garland Publishing, 1996). Cohen, Daniel. The Encyclopedia of Monsters (Dodd, Mead, & Co., 1982). Dorson, Richard. Buying the Wind: American Regional Folklore (Univ. of Chicago Press, 1964). Erdoes, Richard, & Alfonso Ortiz. American Indian Myths & Legends (Pantheon Books, 1984). Leeming, David, & Jake Page. Myths, Legends, & Folktales of America (Oxford Univ. Press, 1999). Mooney, James. Myths of the Cherokee (Charles Elder Books, 1982). Rowling, J.K. Pottermore site (updated 2016). Schlosser, S.E. Spooky South (Globe Pequot Press, 2004). One of the talents attributed to witches in a number of cultures is self-transformation. If you’ve plunged more than ankle-deep into witchcraft research, you’ve likely run across famed Scottish witch Isobel Gowdie’s charm, which she reputedly used to transform into a hare, which begins “An I shall go into a hare, with sorrow and sighing in mickle care…” Gowdie was not alone in her belief that through the force of her magic and her will (and perhaps some psychoactive botanical substances or a judicious application of rendered animal fat), she could change her form to that of an animal. Perhaps the most famous example of this power is the werewolf, which sometimes changes of its own volition, but more often is a victim of the shiny moonlight’s powers. In the New World, plenty of witches also had the power of transformation. This article will look at a few key tales of shapeshifting from New World lore, and ask questions about what the stories could mean for a magically inclined person with an interest in exchanging human form for an animal’s. Perhaps the best-known and most widespread incarnation of the shapeshifting legend east of the Mississippi is the story of the loup-garou (sometimes also rou-garou, rugaru, or a similar variation). The beast can be found just about anywhere which saw frequent contact with French Colonial influences, such as in Canadian border zones or Louisiana. Often the loup-garou is essentially a werewolf, a human being who can—through magical means often diabolical in nature—become a wolf-like beast. Some versions of the story, recorded by University of Louisiana professor Barry Ancelet, describe the beast as more of a thief than a predator for humans, stealing fishermen’s clams while they sleep. The exact nature of the creature is also indeterminate, since depending on one’s location, it can “range from the rougarou as a headless horseman to a wolf that prowls the forest at night” (Lugibihl). The actual transformation may be permanent (or even ghostly, as some accounts tell of the beast as the remnant of a cruel old man), or may only last for 101 days, after which time the loup-garou transfers its curse to another person through a bite or drinking his or her blood. A person under the curse seems to know whether he or she is suffering from the transformation, and becomes rather wan and unhealthy, but usually remains silent about the condition with others. A major variation on the loup-garou is the bearwalker, about which Richard Dorson recorded several stories in Michigan’s Upper Peninsula during the mid-20th century. As you can probably guess, the assumption of a bear form (or at least an animal form which resembles a bear more than a wolf) is more common in the lore of the borderlands on the north of the Great Lakes. In the mid-section of the United States, particularly from the mid-Atlantic down to the upland South and across into the Midwest, the power of transformation is far less canine in nature. While the loup-garou certainly fell into the purview of New World magical lore (albeit lore largely imported from Europe), the tales of transformation one finds in places like Appalachia skew distinctly witchy in flavor. Several stories, including one which we’ve recorded here before called “The Black Cat Murders,” talk about witches transforming into cats in order to visit harm on prospective victims. Patrick Gainer recorded his version of the tale in West Virginia from Mrs. Robert Pettry, whose account included a man with a pet bear that struck off the witch-cat’s paw only to have it transform into a human hand once it was severed. This is a very common feature of witch transformation tales, and often once a witch has been injured in her animal state, she bears the marks of her injury in human form as well (which proves helpful to neighbors in identifying her). One of the remarkable points about these transformations remains that in many cases the witch has a physical human body in one place and a spectral body (with some corporeal aspects, as in the case with the bear above) that can travel around at her behest while remaining deeply linked with her. That trait appears throughout North America (again, with some Old World antecedents, including Africa as well as Europe). A tale from Virginia recorded in The Silver Bullet, by Hubert J. Davis, tells of women who turns into a cat only to have her hand whacked off with a knife. The next day, when the man who did the whacking tries to shake hands with the suspected witch, she refuses because her hand is now missing. Davis also reports a tale of a witch who becomes a cat only to be caught by a lonely mountain man, and transformed back into a woman, she marries him and bears him two children. When he begins drunkenly telling someone how they met, she turns herself and the kids into cats and kittens and they disappear forever through a hole in the wall. Of course, not all witches turn into cats, and not al were-cats are witches, exactly, either. In Utica, New York, Davis found a tale of a witch who turned herself into a black colt that would appear in neighbors’ fields and graze among their horses. When a man sneakily catches the colt and has it shod at the blacksmith’s (I’d note the importance of iron to this story, by the way), the colt then gets put into a pasture, then disappears. However, a neighbor-woman is seen with bandages on all her hands and feet the next day. New York is also the home of famed witch Aunty Greenleaf, who reportedly would turn herself into a white deer rather than a cat or a horse. She managed to elude hunters constantly until one hunter got the idea to use melted silver for bullets and struck her in her transformed state. She, of course, took ill and died (Schlosser 2005). Another famed shapeshifting creature, however, is not a witch at all, but a Native woman who has been cursed into cat form known as the Wampus Cat (Schlosser 2004). Lest you think that all those who are animagi (to steal a term from Harry Potter) are female, an African American tale speaks of a male witch whose form is that of a boarhog, and who uses his powers of magic and transformation to gain a pretty wife with lots of land. Interestingly, a little boy in the story—often called the “Old Witch Boy”—knows the boarhog witch’s secret and reveals it to the girl’s father, resulting in the death of the hog-witch (Leeming & Page). Some of the most pervasive and powerful witch-stories of transformation come from the American Southwest. Navajo skinwalker tales abound with narratives about evil witches who could use the pelts of animals to take on different shapes, usually to terrorize outsiders or those they did not like on the reservations. Some accounts claim that the witch who could take on the skin of another creature was the most powerful type of witch, and had mastered what was known as “The Witchery Way.” Such a creature was to be greatly feared, and trade in certain skins and furs was severely limited within Navajo culture. Skinwalkers could be recognized by some of their supernatural abilities, but more especially by their eyes: in animal form, their eyes looked human, and vice versa when in their human form. Nasario Garcia recorded many tales in New Mexico, Colorado, Texas, and California from people in the late 20th and early 21st centuries who reported knowing about or having seen witches that had taken on animal forms, just as skinwalkers do. One story related by a a man who recalled the events of the tale from when he was eight years old told of how his father had been driving an oxcart on a dark night with his son (the narrator) and a few farmhands along with him. Suddenly, two sheep appeared alongside the cart, one white and one black, and simply followed them, always matching pace with the cart. Eventually, they simply disappeared. Many others recorded by Garcia spoke of witches taking on owl forms to travel out by night, or occasionally coyote or dog forms, in which case they seemed to want to bite errant travelers (although never in such a way as to cause permanent injury or death, although most who see these creatures report being terrified). So just what do witches do once they are transformed? In many of the stories, they seem to be up to no good. The tales of witch-cats often speak of numerous murders or unexplained deaths attributed to the shapeshifting sorcerers in the area. In some tales, witches take on cat forms to sneak into the houses of children and steal their breath (which is obviously related to the superstition about cats stealing babies’ breath). In some cases, the witches seem to be up to mischief, as in the case of Aunty Greenleaf, who likes to lead hunters on wild chases and get them lost, or cause their guns to fail. The loup-garous steals food, or worse, passes its curse on to others, sometimes even drinking the blood of another person to accomplish its nefarious task. The near-universal terror of skinwalkers in the Southwest is attributed to their powers to cause sickness and death as witches, although they seldom seem to kill or even severely maim while in animal form (although there are often reports of animal mutilation later connected to them). Richard Dorson records one tale from the Southwest in which shapeshifting witches seem to threaten each other more than the average person. He speaks of a pair of witches who make a bet about which one is faster in horse form. The loser has to stay a horse, which is accomplished by means of a magical halter. The winning witch sells the loser to a man, whose son accidentally removes the halter, and the witch transforms into a fish and swims away in a nearby river, then continues to transform until he’s a coyote. The coyote is tracked and killed by dogs in the end, and notably the witches have done no harm to anyone but themselves. Why do shapeshifting witches get a bad rap, then? I would like to suggest that the real uneasiness among those who tell the stories is a fear that witches can be anywhere, and anyone, and just about anything. You never know when you might offend a hidden witch, who could be the cat twitching its tail by the fire or a horse in a pasture across the road. A healthy show of respect (even one tinged with fear) makes for a good insurance policy against the witch’s other fearful talents. Of course, being able to take on animal forms also means that the witch knows just how well you treat the lower orders of species, which might also inspire one to act a little better around the flocks and fields, or to pass an extra dog biscuit to the pooch curled up at your feet. Who knows, that might just be all that stands between you and a rather nasty hex, right? Davis, Hubert J. 1975. The Silver Bullet, and Other American Witch Stories. Jonathan David Publishers. Dorson, Richard. 1964. Buying the Wind: American Regional Folklore. Univ. of Chicago Press. Dorson, Richard. 1972. Bloodstoppers & Bearwalkers. Harvard Univ. Press. Gainer, Patrick W. 2008. Witches, Ghosts, & Signs. West Virginia Univ. Press. Garcia, Nasario. 2007. Brujerias: Stories of Witchcraft & the Supernatural in the American Southwest & Beyond. Texas Tech Univ. Press. Leeming, David, and Jake Page. 1999. Myths, Legends, & Folktales of America: An Anthology. Oxford Univ. Press. Lugibihl, Steve. 2001. “The Rougarou: A Louisiana Folklore Legend.” The Nichollsworth. 26 April. Louisiana State University. “Navajo Skinwalker Legend.” 2015. Navajo Legends Website. Pitre, Glen. 1993. Swapping Stories: Folktales from Louisiana. Louisiana State Univ. Press. Schlosser, S. E. 2004. Spooky South. Globe Pequot Press. Schlosser, S. E. 2005. Spooky New York. Globe Pequot Press. Wilby, Emma. 2010. The Visions of Isobel Gowdie: Magic, Witchcraft, & Dark Shamanism in Seventeenth-Century Scotland. Sussex Academic Press. This time, we look at the lore of shapeshifting witches, including loup-garous, Wampus cats, and skinwalkers. We also briefly discuss the idea of hag-riding. Producers for this show: Renee Odders & Athena (if we missed you this episode, we’ll make sure you’re in the next one!). Big thanks to everyone supporting us! Laine discusses the phenomenon of Creepypasta, and we specifically discuss the Goatman legend and Bunnyman Bridge. If you’ve got a paperback copy of a book which you’d like to get bound in leather, our friend Achija Branvin Sionnach of Spellbound Bookbinding is offering our listeners a very deep discount. If you tell him we sent you, he’ll do the leather-binding for you at cost of materials plus shipping. Music: “Were-Owl,” by S.J. Tucker, from her album Mischief. Incidental music by Brian Johnston, doing a cover of Warren Zevon’s “Werewolves of London,” found at Soundcloud and used under a Creative Commons License. Podcast recommendation: Laine recommends the podcast Darkness Radio, and Cory suggests the medical/comedy/folklore show Sawbones.